Attendees at the 2014 World Science Festival Gala will not only be supporting our education programs, they’ll get the chance to enjoy innovative foods inspired by science. One item on our dessert menu: a cup! 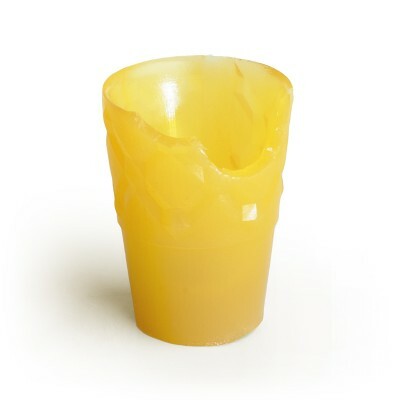 More specifically, we’ll be serving edible cups called Loliware, made by the design mavens at The Way We See The World. Though the idea of an edible cup might sound a bit silly, it’s a small step in the right direction for the environment. A lot of the disposable cups we use – be they Styrofoam, plastic or yes, even paper – will be sitting around in landfills for decades to come. Styrofoam and most kinds of plastic are non-biodegradable materials; the microorganisms that break down (biodegrade) things like food waste haven’t evolved to cleave the kinds of chemical bonds that hold their molecules together. Even cups made with biodegradable materials like paper are no guarantee of sustainability. Many modern landfills are deliberately packed tightly to prevent biodegradation. This is to minimize the amount of water pollution and gas emissions that are given off by the bacterial breakdown of trash. So why not skip the landfill altogether? 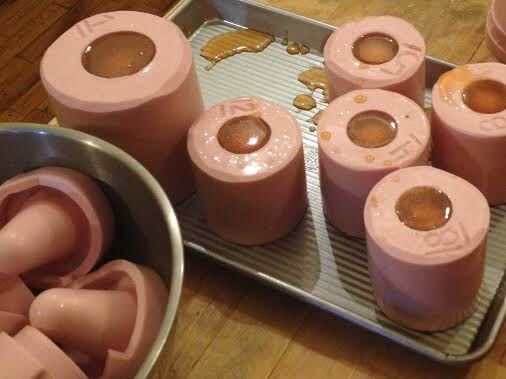 Loliware started with a Jell-O mold contest. TWWSTW’s Chelsea Briganti and Leigh Ann Tucker, recent graduates of the Parsons School of Design, entered the competition on a lark. Their idea for edible, biodegradable cups won third place, and a lot of attention. So, Briganti and Tucker decided to get into the edible cup business full time. It took some work to craft the right mix of ingredients that would be moldable, translucent, biodegradable, and flavorful. The pair had to make sure the cups would hold drinks without melting, but also be easy to eat without spilling. Another big change came when TWWSTW decided to switch from Jell-O’s animal-based gelatin to a vegan substance called agar. The primary reason that Loliware is made of vegan ingredients is structural – the gummier nature of animal-based gelatin proved to be harder to chew in trial runs. With animal-based ingredients, “you’d be pulling on the cup trying to take a bite, and you’d be throwing your drink in your face,” says Briganti. The sturdier, Swedish Fish-like texture of Loliware’s seaweed-based gelatin allows you to nibble on your cup without tossing your drink everywhere. Currently, Loliware comes in a citrus flavor made from a mixture of pink grapefruit and yuzu – a Japanese citrus that tastes a bit like a blend of lemon and lime, with a little extra kick. The flavor can complement a whole range of treats and drinks, from sherbet to sparkling water, gin and tonics, as well as champagne, Briganti says. Briganti and Tucker plan to add more flavors in the fall. They also have their eye on expanding operations beyond the Harlem bread kitchen where they’re currently working. If things go according to plan, Loliware could be available for nationwide distribution as early as this June. The pair is thinking about exploring other kinds of edible food containers in the future. But for now, they’re focused on making it ever more likely that the cup you’re drinking out of goes to your stomach, not the landfill.